Ireland is to reduce its number of peacekeepers in Lebanon by around 100 later this year. The Defence Forces members on the UNIFIL mission will be replaced by Polish and some Hungarian troops. The move follows "detailed negotiations involving officials from the Department of Defence and military management, as well as their Polish counterparts", according to a statement from the Minister for Defence. Ireland increased its deployment in South Lebanon to 450 last Autumn after Finland withdrew from a joint Irish-Finnish battalion. Estonian troops also withdrew from the unit after Finland’s announcement. Ireland increased its troop numbers by 106 to backfill the Finnish and Estonian departure. Ireland’s UNIFIL commitment will remain at 450 personnel until November 2019, after which the Polish and Hungarian company will join the battalion. The Polish commitment was welcomed by the Government. "The Irish Government warmly welcomes the offer from the Republic of Poland to join the Irish Battalion in UNIFIL," said Minister of State for Defence Paul Kehoe in a statement. The Defence Forces Chief of Staff acknowledged last week there were significant challenges filling senior officer roles in the Irish battalion in Lebanon, describing the situation as "not ideal". Vice Admiral Mark Mellet told The Irish Times: "I wish we were able to have a longer lead time, in terms of those appointments but we will get there". Finland withdrew from the Irish-Finnish unit in 2018 due other national commitments. Over 100 Finnish troops continue to serve on the UNIFIL mission as part of the Force Commander’s Reserve. 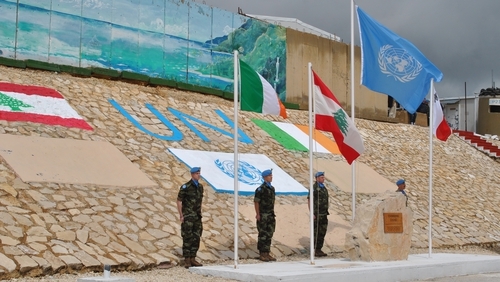 Ireland has played a role in UNIFIL since the mission was established after the Israeli invasion of Lebanon in 1978. Forty-seven Irish troops have lost their lives during their service with UNIFIL.